Gorillas are among the closest relatives of Homo sapiens, which is evident by looking at them in pictures or videos. However, it takes more than a physical resemblance to consider two species closely related; therefore, studies of genetics, anatomy, morphology and other scientific fields are made to verify that, indeed, gorillas and humans share 95-99 % of DNA. This broad DNA match means that several million years ago, gorillas, chimps, and humans shared a common ancestor, but they split at some points of time and evolved as different species. It is, therefore, understandable that they are similar, and that when European explorers discovered them in Africa, described them as men-like creatures, but furred. 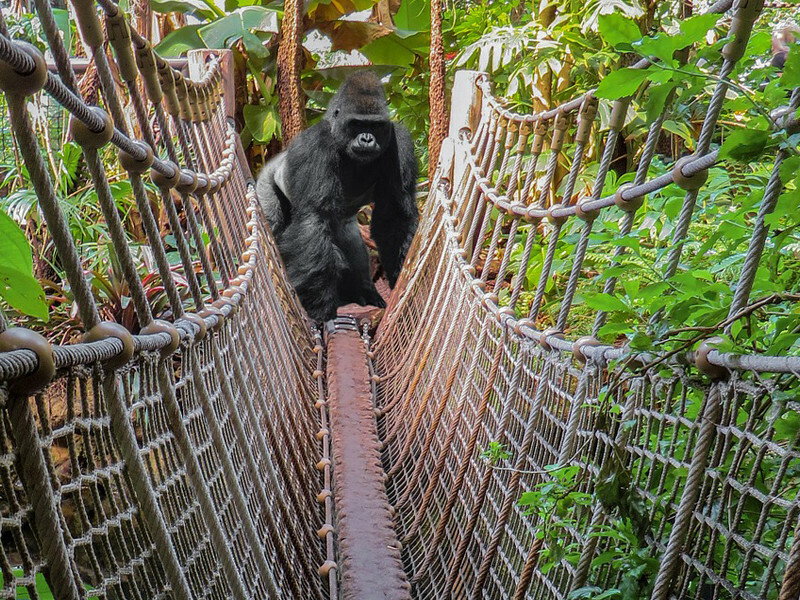 Humans and gorillas share 95-99% of DNA. The Genetic sequences of both species are similar. Every individual of each species has unique fingerprints and opposable thumbs. The gestation period for both is long, eight and a half months for gorillas and nine months for humans. Gorilla growth and development is slow, and they reach sexual maturity after their first decade of life. Men and women have similar growth stages. Mothers and their offspring engage in a close relationship just like humans. Some people may believe that gorillas are ferocious and aggressive animals. Thus, they have been characterized this way in several movies, series and video games: huge creatures that stand on two legs and emit an angry roar while beating their breasts. But this is not exactly the case. Unlike the way they are portrayed, gorillas are usually calm and have a peaceful social life. They rarely show aggressive behavior; it only occurs when they feel threatened. This fact does not mean that anyone can approach them recklessness, as they are not familiarized to see humans frequently in their natural habitat. The interaction of gorillas with humans has been progressive. From being little known and understood, they became a popular subject of research by middle twentieth century. Dian Fossey is one of the most prominent primatologists in history and gave the world detailed information about the actual nature of the genus Gorilla. After a thorough investigation process in Africa about mountain gorillas (Gorilla beringei beringei), she changed the perception that they are aggressive animals, and made outstanding efforts to preserve this subspecies, severely threatened by poachers. Received 2008-07-28 from danisolas in San Francisco. 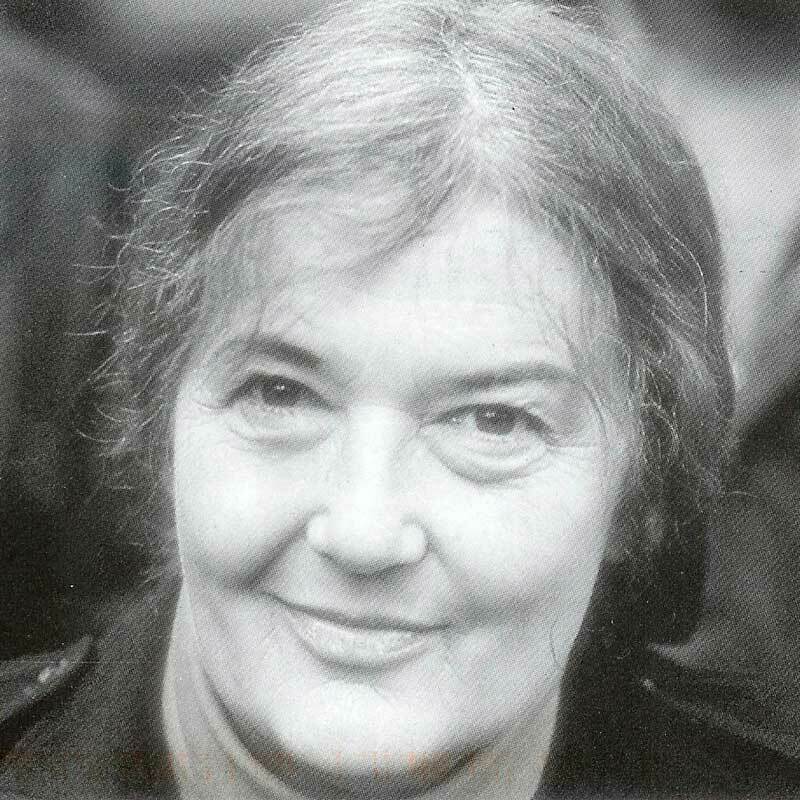 Dian Fossey (1932-85), American primatologist. She was killed while engaged in well-publicized economic and political battles to preserve the mountain gorilla in Rwanda and has become a hero to wildlife preservationists and environmentalists the world over. Poaching and habitat destruction are two of the boldest threats that gorillas face, and they menace their survival far more than their natural predators. As you already assumed, such threats are related to human activities. Poaching and habitat destruction are two of the boldest threats that gorillas face. There is not any other predator as dangerous and ruthless on the planet than humans, who dominate almost every habitat in the world and have taken advantage of their resources to meet their increasing needs. Consequently, hectares of forests are cut down continuously to build communities or use them as wood. Additionally, unconscious people kill gorillas for their meat or to sell their body parts, or they just capture these magnificent animals to sell them as pets. Even climate change and armed conflicts in African countries issues evidently not related to gorillas, take a toll from them. Mountain gorillas and Cross River gorillas (Gorilla gorilla diehli) have small populations; particularly the former, has a habitat range virtually surrounded by human populations, so the possibility of moving to other areas it is not very likely, making their survival probability very reduced. Then, what is worth mention about this human-gorilla relationship? At the top of the list is the amazing people that have the courage to improve their situation risking their life sometimes. Humans have affected the survival of these primates, but there is some people aware of this and the importance of their endurance of the species, so they’ve been doing their part to preserve them. Podcast – Humans and Gorillas.